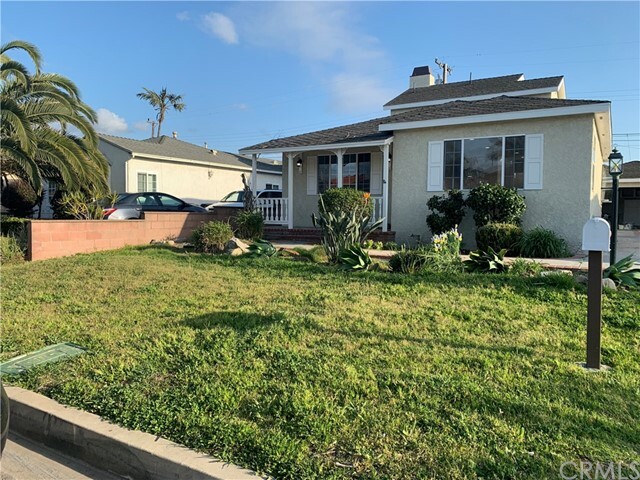 All Lomita homes currently listed for sale in Lomita as of 04/20/2019 are shown below. You can change the search criteria at any time by pressing the 'Change Search' button below. 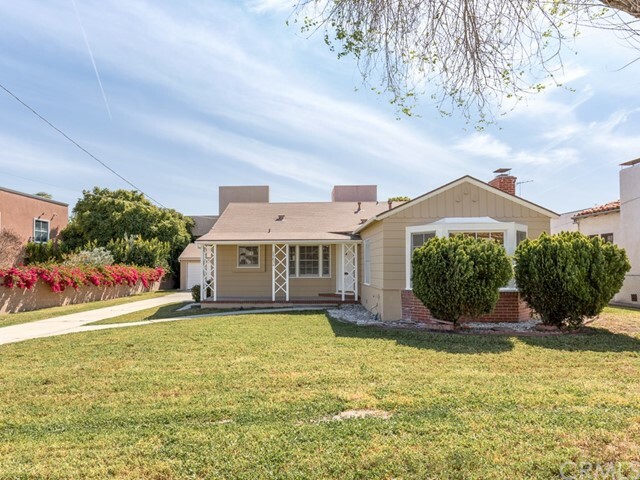 If you have any questions or you would like more information about any Lomita homes for sale or other Lomita real estate, please contact us and one of our knowledgeable Lomita REALTORS® would be pleased to assist you. "Custom-built executive home with plenty of space for entertaining. Equipped w/an oversized garage, vaulted ceilings, upgraded bathrooms & kitchen, granite counters, travertine floors, central heating and newly installed A/C, smart thermostat, recessed lights, breakfast nook, sky-lit kitchen, walk-in pantry. Energy-efficient, double-pane windows & sliders throughout. Gorgeous upstairs living room is huge and well-lit w/ an inviting fireplace, ceiling fan, large wrap-around balcony, & full size bar. Spacious master a private retreat w/ cathedral ceilings, 2 large walk-in closets, Juliet balcony, and a cozy fireplace. The ensuite master bath has dual sinks, skylight, an oversized sunken jetted spa tub, built-in space heater, and a large walk-in shower. The ground floor includes 3 large bedrooms each w/ walk-in closets, 2 updated full baths, separate laundry room with sink and storage, and a large family room with stone fireplace and wet bar. The backyard includes a covered patio, enclosed walls for privacy, and multiple fruit trees - lemon, orange, peach, fuji apple, and mandarin orange. The back also has an extra storage room plus a hot water controlled line that's perfect for washing pets all year round. 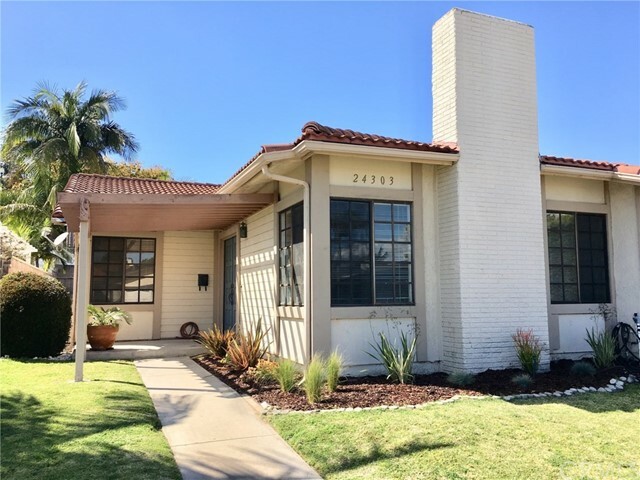 Situated at the end of a sleepy street in a perfect location only 5 minutes away from great shopping, grocery stores and restaurants - Torrance Crossroads (Home Depot, Vons, In-n-Out), Rolling Hills Plaza, (Trader Joe's, AMC theaters, WholeFoods), Sam's Club, & Costco." "Well maintained split level 2 story home. Wonderful 4 Bed 2 Bath home in the spectacular subdivision of Rolling Ranchos Community. This residence has everything a home owner could want for their family, it's a one of a kind home in this community. This home offers the buyer many upgrades: newer interior and exterior paint, in the backyard you will find an amazing pool and hot tub with new pool equipment, an outside SS gas grill, mature trees, and sprinkler system all around, definitely a lifetime play for the whole family to enjoy. Inside you will notice the 6 crown molding with upgraded LED lighting, new electrical switches, updated double pane windows, new wood shutter blinds, and wood laminate flooring throughout the house, in the main living room you will find a beautiful fireplace, imagine with Christmas decorations, this particular home has many upgrades, you may be able to add a few options of your own. 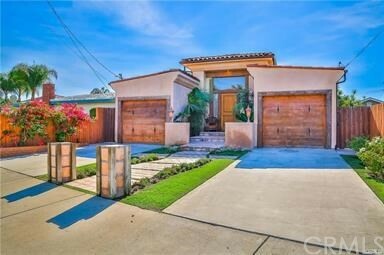 This home is located off Palos Verdes Drive North and near Rolling Hills Country Golf Club. The Rolling Hills track is about 15 minutes from popular Surfside Torrance Beaches. Close to shopping, dining, etc. If you are looking for a primary home or investment opportunity, look no further." "Well maintained split level 2 story home. Wonderful 4 Bed 2 Bath in the spectacular subdivision of Rolling Ranchos. This residence has everything a home owner could want for their family. offering many upgrades: newer interior and exterior paint, copper plumbing, updated double pane windows, new wood floors throughout the main level of the house. The backyard offers steps to a terrace with city views (a wonderful spot to enjoy dinner & drinks) a hot tub on the large patio, great for entertaining, also a large grassy area for kids and dogs to play. A spacious living room where you will find a beautiful fireplace, imagine with Christmas decorations. A spacious island kitchen for the entertainer in you. The downstairs master suite has and beautifully updated Mediterranean bathroom. 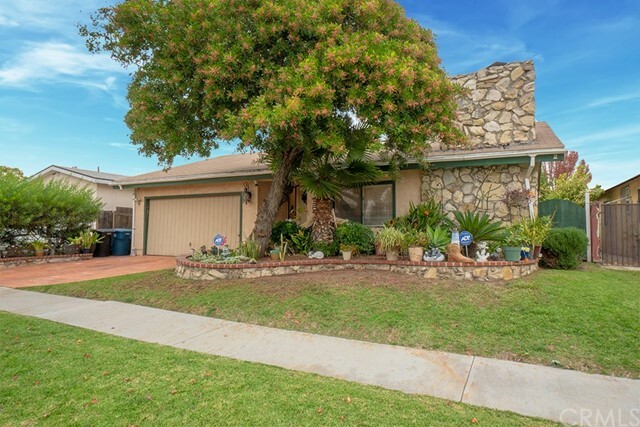 This home is located off Palos Verdes Drive North and near Rolling Hills Country Golf Club. The Rolling Hills track is about 15 minutes from popular Surfside Torrance Beaches. Close to shopping, dining, etc." "This home is ready for you to move in. It is a 2 story 4 bedroom, 4 bath home located on a corner lot of a cul-de-sac street. This home has it all; upgraded kitchen with quartz counter tops and new stainless chef stove top and double oven, island, new waterproof vinyl flooring, loads of cabinet space. There are 3 full and 1 half beautifully remodeled baths, brand new carpet throughout, a huge master suite with a soaking tub and separate shower, a large deck and another private deck all a part of this ensuite. A second master bedroom includes a full bath and there 2 more large bedrooms. A formal step down living room adjacent to the formal dining room. The kitchen opens to a large family room with a fireplace, wet bar and sliding glass door leading to the huge patio. There is also an approximately 250 square foot bonus basement that is not included in the square footage, The basement has brand new carpet, a bar with a sink, recessed lighting and has forced air heat and air-conditioning! A perfect room for entertaining. The back yard has a grassy area and also a large gated driveway with plenty of room for RV or boat parking. There is a sump pump on the lower level to handle the rain. A 2 car attached garage and a separate laundry room tops off this great home." "Welcome to this Pride of ownership custom built home. Since 1983 the home has had many upgrades to aesthetically meet the current trends. The floor plan which enters into the living room, then into the family room and goes directly to a large Trex deck and backyard is great for entertaining. There is a room next to the family room which could be used as a game room or formal dining room. This spacious chef's Kitchen has granite counter tops, travertine floors, mirrored china cabinets, solid Oak cabinets, Stainless steel appliances and an abundance of cabinet space. Family room has a updated granite counter wet bar with mirrored panel shelving and custom brick fireplace with mantle. All extremely large bedrooms are located on the second floor and 2 have built in desks. The spacious master suite comes with a remodeled bath with Granite counters. New carpeting and the remodeled second bath will enhance your living experience. Some of the extra features are the oversize 3 car garage and the large lot that entertains a private RV space next to the home, behind the gate. All fencing (vinyl), deck (Trex) and new block walls have been updated with materials that are maintenance free. For your enjoyment the home comes with solid oak floors, air conditioning and central vacuum system. The home has been upgraded with Milgard windows. The home sits back off the street with a large front yard and long driveway which is great for family and guests." "A unique opportunity to purchase a rarely available move in ready home. 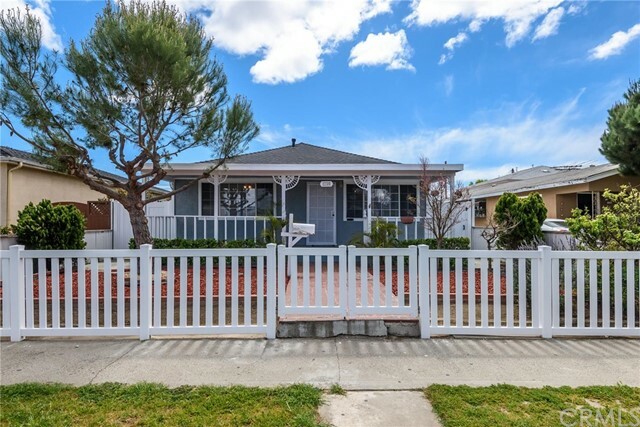 This Single Family Home sits on a large 13,318 square foot lot, on a quiet street short distance from parks and the Lomita Railroad Museum. There is Room for Everything RV Parking or Barn Workshop...Pool Pool House In Law Quarters Extensive Out Door Living Area Huge Garden and still have room left over! Many possibilities to add on to the current home or build an ADU with the existing garage or home. (Check with the local LA City zoning and planning department). Existing now is a nicely laid out 3 bedroom and 2 bath home, originally 2 bedroom and 1 bathroom per Tax Rolls. Lots of windows provide plenty of light and a great flow throughout the house. The Possibilities and Options are almost endless! MUST SEE!" 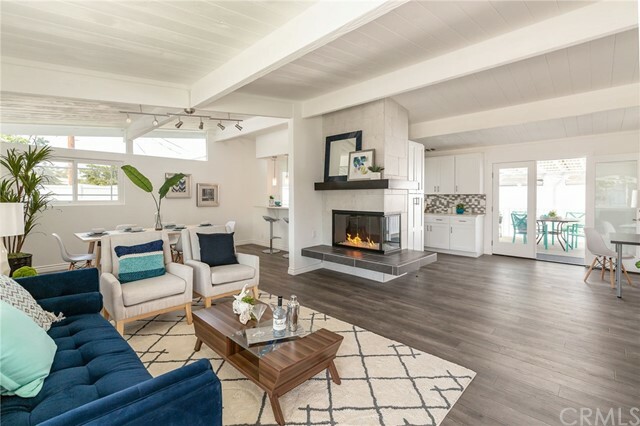 "This mid-century corner lot home has been brought to life with a revamped floor plan, highlighting the architectural windows and large wood beams with a new open concept. Exuding coastal contemporary vibes, the Living Room and Dining Room open into the Designer Kitchen with quartz counter tops, stainless appliances and a bonus Butler s Pantry & Laundry Room. All 3 bedrooms are quietly tucked away in the southern portion of the home. Renovated Master Suite has a private bathroom, mirrored closet doors and brand new flooring. High-ceilings and fresh colors add to the modern appeal of this home. Outside, the backyard is perfect for California living with a covered deck, brand new landscaping and a quaint She-Shed for all your gardening and craft needs." "Fantastic opportunity... Fully remodeled home... Move-in ready. 2 Story newly remodeled 3 bed/ 2 baths, 2 living rooms house. New Kitchen Appliance, New Cabinets, New floors, Fresh paint interior and exterior. Back yard with mature fruit trees. 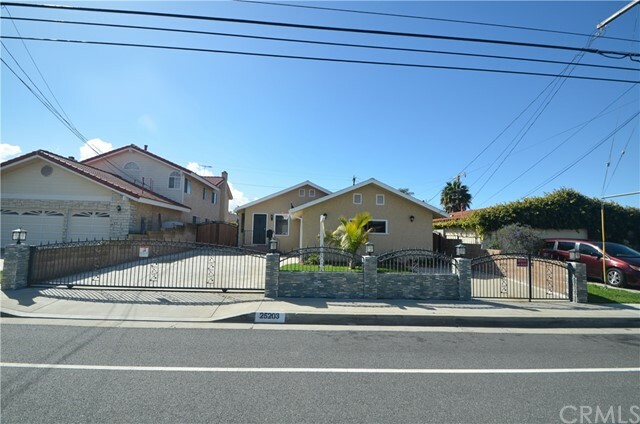 This house is located on a Quite Cul-De-Sac street, just 2 mins walking to the Lomita Park Recreation center. Must see!" "Gated entry with private street located at foot of Rolling Hills - Great neighborhood with 8 detached residences built in 1999. Security system & central A/C. Well maintained, spacious 4 Bedrooms, 2 1/2 baths with double garage & 3 extra parking spaces. Master BR 18x14, Master bath 13x12 has walk in shower & soaking tub w/ travertine surrounding, Master walk in closet 11x9. Features granite counter-tops in kitchen & baths. Cozy gas/wood burning travertine fireplace. Energy efficient, Stainless steel appliances, gas range, microwave, dishwasher, refrigerator w/exterior ice & water. Decorator paints. Formal Living & Dining Rooms, Family room/kitchen combination leads to awesome landscaped, private back yard, producing avocado trees, fig tree, Japanese Plum, & Guava tree. Feels like a tropical garden. Large 23' brick patio for entertaining. Macy s Thermalite energy saving shutters on all dual pane windows & patio door. Large laundry room with lots of cabinetry & counter-tops. So convenient to shopping, restaurants, medical, hospitals, malls and 110 & 405 freeways. Just minutes to the beach & Del Amo Mall. Walk to Eshelman Elementary. A wonderful home for one who is looking for more space!" 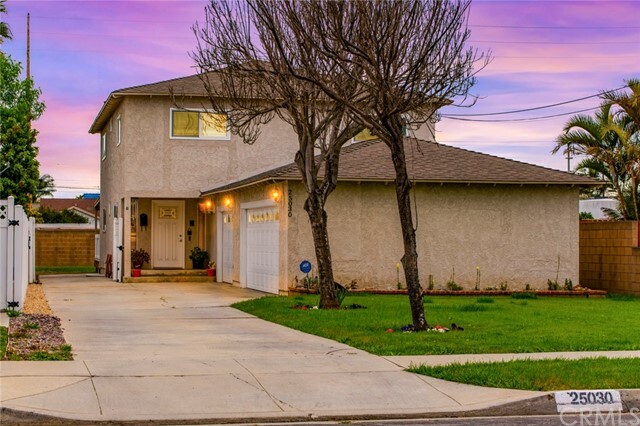 "Beautiful 4 bedroom 3 bath home tucked away in the most amazing neighborhood in Lomita. Boasting Dual Master Bedrooms with a built in Sauna and a gorgeous indoor/ outdoor Atrium. A REAL MUST SEE!!!! From the Gorgeous backyard with fruit trees, to the upgraded kitchen and whole unique feel of this very quaint property. This house is priced to Sell. A property like this does NOT come along often so all agents and buyers make sure you make it to the showing opportunities. **BACK ON MARKET. BUYER'S DIDN'T PERFORM, $10K REDUCTION IN PRICE. PRICED TO SELL!! **"
"Home was rebuilt in 2016 down to the studs due to fire. New cabinets, new vinyl flooring, HVAC. Long gated driveway perfect for RV. Large lot that is zoned LORVD2500, lots of potential with this property including investment/rental income. Huge backyard and 2 car garage behind gate. 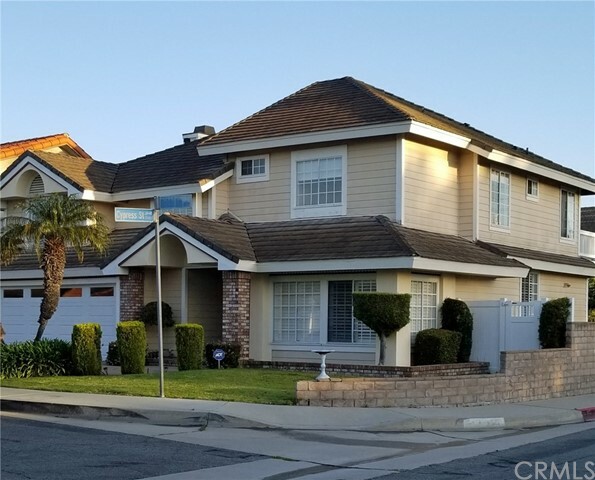 Neighborhoods: Lomita Other Fees: 0 Sewer: Sewer Connected Topography: LL"
"WELCOME HOME...Spacious & comfortable, single level, 3 Bedroom, 2 Bath home. Updated eat-in kitchen with stainless steel appliances, granite counters, tile floors & large walk-in pantry. Split floor plan - master bedroom with private bath & walk-in closet. Newer laminate flooring throughout. Updated heater, newer water heater; Newer vinyl windows, Cozy patio area opens to large yard with deck & spa. Huge corner lot home with large, detached 2 car garage (accessed from cul-de-sac); tons of parking, space for an RV." "If you ve been searching for a home to accommodate the whole family, then look no further! This 5 bedroom 2 bath home has plenty of room for everyone! The original house was built in 1936, and later additions brought the total home to 2,224 square feet! Step into a bright and sunny living room with newer laminate floors. The kitchen and dining room adjoin this space would be easy to create a great room here! 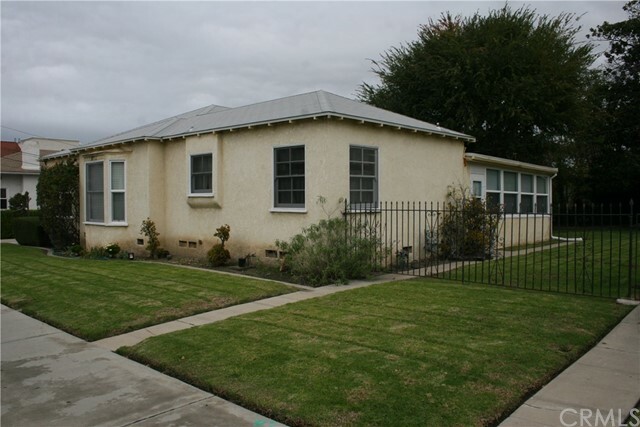 2 bedrooms and a full bath complete this original part of the house! Down the hall are two large bedrooms; one is HUGE and has 2 points of access and a large walk-in closet! Continue toward the back of the house and you ll find a real treat this space has a separate entrance, and could easily serve as a separate living space, a large master suite, a home office, art studio, the possibilities are endless! Not only is this a large house all on one level but the yard is something else 9,532 square feet! There s lots of room for your pets, play, entertaining, gardening use your imagination! A long driveway leads to a 2 car garage so parking is never an issue! Well located, and easy to get to everything! Needs some TLC but what an amazing deal! Bonus - Seller just installed a brand new roof!" 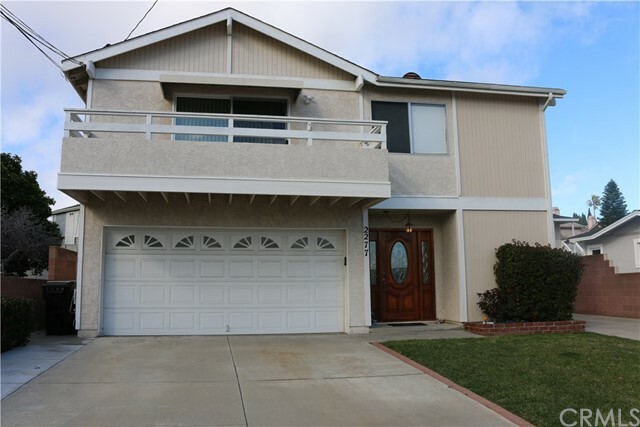 "Great Lomita family home. Plenty of living space - over 1900 sqft, 3 br's & 2ba's plus an open den/office space area on a large lot 7996 per tax assessor. MB is extremely large with ceiling fan & light fixture and an entire wall to wall of closet space. 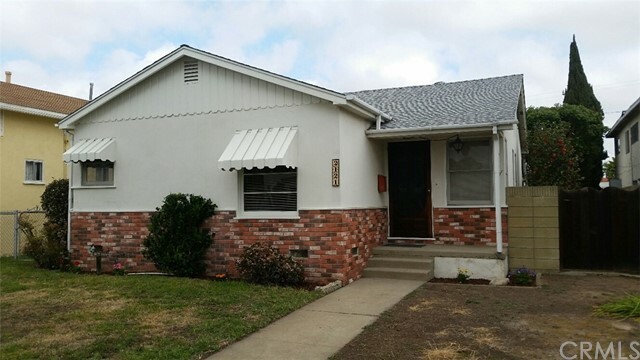 Location is excellent for walking distance to local schools and Lomita Park. Split Front Yard with low water tolerant plants and lawn. Dual paned windows, 3 sky-lights, 2 wood burning fireplaces, recessed ceiling lighting, upgraded interior doors, refinished hardwood floors, inside laundry room, formal dining room. Excellent huge backyard for entertaining with mature orange tree and many plant boxes for gardening and two separate areas within the same backyard for BBQ and family gatherings. Two car garage with upgraded storage." 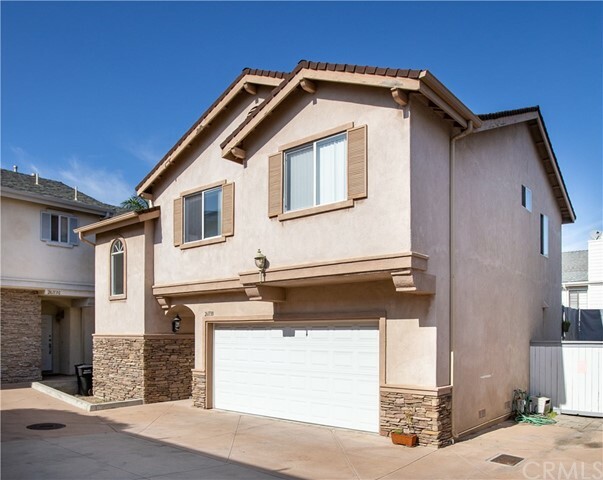 "Run don't walk to this special single level cul de sac Lomita home. A few blocks to Lomita Park. Cosmetics done. New laminate floor, new carpet in the bedrooms, new paint, new appliances, new lighting, new toilets, yard cleaned and relandscaped. The home is ready for a new buyer to do the upgrades. Roomy family room next to kitchen with sliding doors leading to the back yard patio. Lots of room in the master bedroom, dressing area and a walk in closet. Garage painted and cleaned. This house has so much of everything and in the right place. You'll love this home. Owner had upgraded the roof to cement tile. Huge 7500 sf lot. Backyard with Avocado, apple, loquat trees. Two sheds at the side of the house stay with the property. Skylight in the hallway. 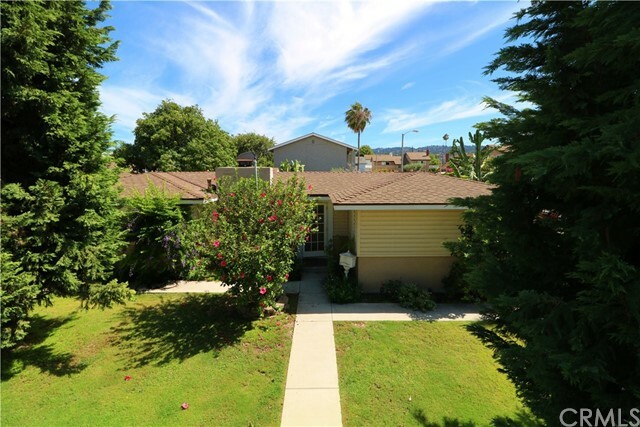 All this in a great prime location of Lomita." 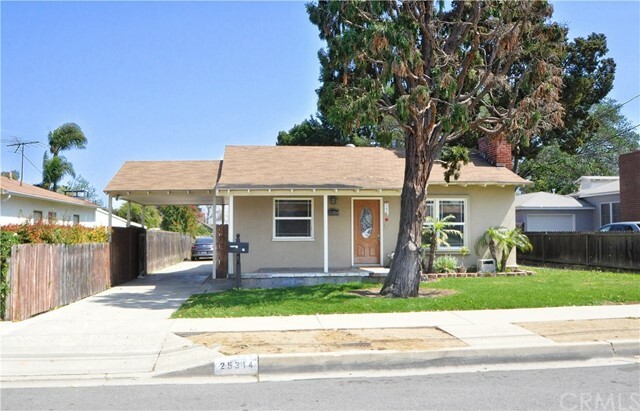 "Beautifully remodeled 4 bed/2 bath one-level home. This turnkey home is bright and spacious with beamed ceilings, wood/laminate floors and stone fireplace in living room. The enclosed backyard is perfect for relaxing and entertaining. Garage has been converted to den, perfect as an entertainment room or home office. Quiet neighborhood close to parks, shopping and schools. Buyer to verify information." "Terrific Development Opportunity. This property currently has a Single Family Residence (3 Bed 2 Bath house - Currently Rented at $2700/mo). Lot is zoned LOCG* with numerous development opportunities. Mixed use is well received by the City and portion should go to housing. Please check with the City of Lomita for potential uses. Must be sold with neighboring property corner Duplex / currently leased. See Listing ID #SB188284827. All leases are month to month." "This is a great Family Home .. Featuring 3 Bedrooms, 1 3/4 Baths, approx. 1,288 sq ft of Living Area .. Truly an enjoyable environment.. The Master Bedroom has a Private 3/4 Bath, with a large Mirrored Closet .. An Open and Spacious Kitchen includes a Dining Area which is adjacent to the comfortable Family Room .. A Full Bath services the remaining Two Bedrooms .. Since the Backyard is so large, there is an easy way to enlarge existing. or add additional, Bedrooms ( Living Area ) There is a Built In BBQ Set up with Sink at rear of the Back yard and ample Grass Area for many Kids to play, and Adults to entertain .. Parking is not a problem In addition to the Attached 2 Car Garage, there is RV Parking along the side of the Home, with a Large maneuverable Driveway for easy access .. There is even an additional parking space near the sidewalk If you have an RV, Boat, or just like to have a lot of Friends and Family over, you should really take a look at this delightful well cared for Home .."
"! !PRICED REDUCED!! 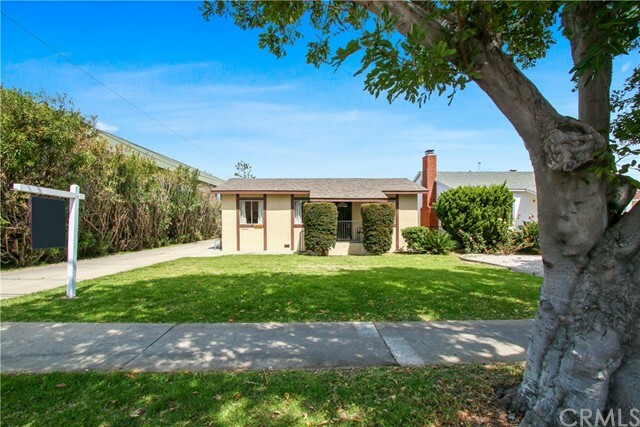 Seller Is Very Motivated To Open Escrow Don't Let This Opportunity Pass You By! 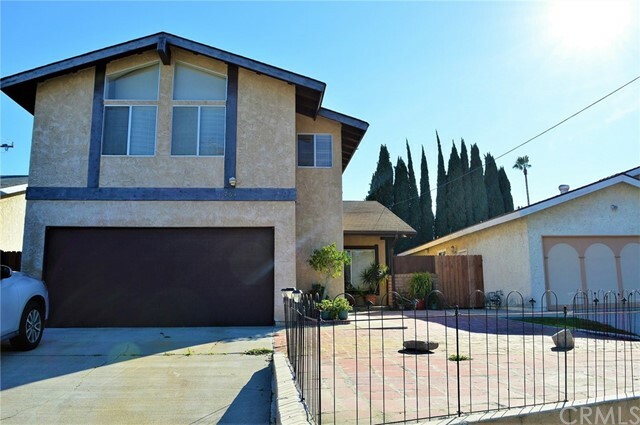 Located in the very desirable city of Lomita, this 4 bedroom, 3 bath home offers over 2,200 sq.ft. of living space on a large 5,800+ sq.ft. lot. When making your way through the front door, you're greeted by the open living area as well as stairs to one of the master bedrooms of the home. As you head upstairs, the vaulted ceilings and multiple windows let in an abundance of natural light. The room is complemented by its own private, full bath. Back downstairs, the sunken living area, dining area and kitchen all flow together and create a very open space. Recessed lights and multiple windows throughout accent the spaciousness. The galley style kitchen offers a walk-in pantry as well as direct access to the 2 car garage. The washer and dryer hookups are both located in the garage as well. The fireplace just off the dining area is great for the cooler winter days. As you make your way towards the back of the home, a large hallway connects the other 2 bedrooms, full bath and 2nd master bedroom (complete with double door entry and its own 3/4 bath!). The master also offers double closets and direct access to the covered patio. The perimeter of the home is mostly concrete/brick for easy maintenance and provides plenty of room for storage and entertainment. With a little TLC, you can truly make this house the home of your dreams! Make this a Must See on your list!" "~Rare~ DETACHED Condominium. NO HOA fees or common walls ! This two story modern home features an open floor plan downstairs (living room, dining area, kitchen and half bath) and three sizable bedrooms and two bathrooms upstairs. The large chef friendly kitchen has plenty of cabinets, granite countertops with lots of work space, stainless steel appliances and direct access to an attached two car garage. The living room has a beautiful vaulted ceiling and direct access to a private patio make it perfect for entertaining. There is an abundance of beautiful natural light. 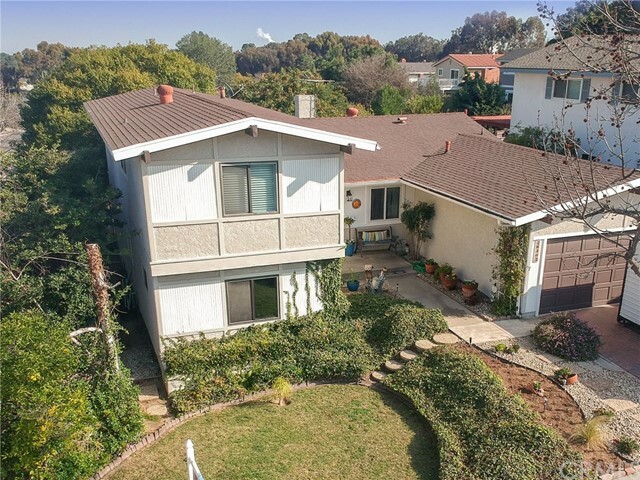 Upstsirs, the large master bedroom has an updated bathroom and a balcony that features a view of the Palos Verdes Hills. Lots of extras throughout, canned lighting, security system and central heating and A/C. This turnkey home is located in a quiet residential neighborhood but walking distance to civic center, restaurants, shops and library." "Inviting one level home with lots of natural light, gleaming hardwood floors, coved ceilings and charming archways. Living room with fireplace, formal dining room and den/office provide great living spaces with a nice flow. Convenient laundry room next to kitchen. Enjoy covered backyard patio and a separate workroom with built-in shelving. Large flat lot, 8,146 sq ft (per tax record-buyer to investigate lot and interior sq ft) with wide side yard, two car garage and extra long driveway sits on a tree-lined cul-de-sac. Great neighborhood and location. 2019 upgrades include beautifully refinished hardwood floors in main living areas and bedrooms, new vinyl floors in kitchen, laundry room, and half bath, new baseboards, new toilets in both bathrooms, freshly painted interior and exterior. Add your TLC repair-remodel bathrooms and create your own dream." 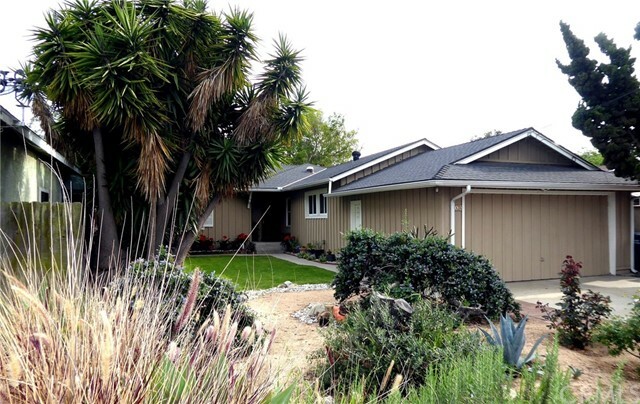 "Contemporary DETACHED home in the highly desirable Lomita Pines community! Built in 2000, this lovely 3 bed, 2.5 bath property features a bright open floor plan with great natural light, high ceilings & designer upgrades throughout! The updated kitchen boasts granite countertops, stainless steel appliances and white designer cabinets! The main floor living room features high ceilings, carpeted floors, an elegant granite fireplace and convenient half-bath for guests. Once upstairs, you ll find 3 large bedrooms including a spacious master bedroom that features a large walk-in closet & ensuite bathroom with shower and separate soaking tub. The home also includes an upstairs laundry room with full size washer/dryer plus plenty of storage. Just like a single-family residence, this condo has a large wraparound backyard and an attached 2-car garage with convenient direct access from the kitchen. 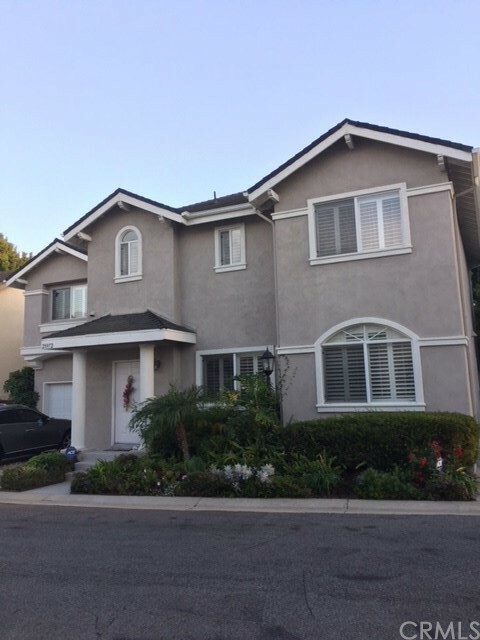 Located on a quiet, HOA-maintained road with only 5 neighbors in your cul-de-sac, this property affords privacy while being minutes from the great shops, restaurants and convenience offered by the PCH! 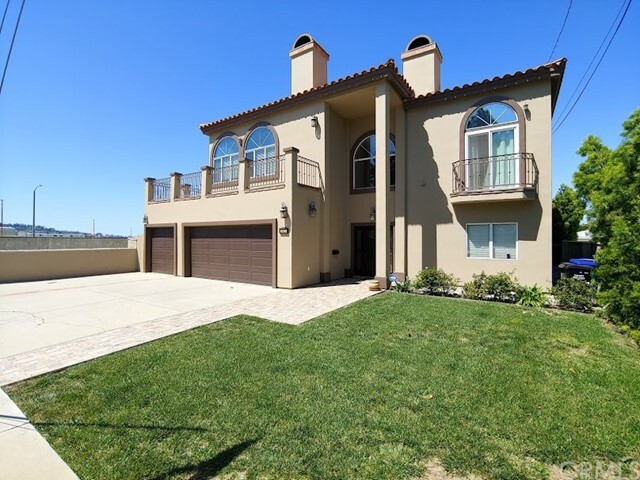 Come and tour today so you don t miss out on this gem in the South Bay!" "Great starter home located on a quiet street only one block long! 936 square foot home on a large 8,170 foot lot. Boasting an oversized garage with attached workshop. Alley access with room for that RV! Check with city for information about building a Accessory Dwelling Unit. Enclosed attached patio with laundry hook ups. Owner states copper plumbing. Sold 'as is', in it's present condition." "Are you ready to enjoy this summer relaxing and sipping a glass of your homemade lemonade on the front porch deck in your comfy patio chair, or maybe enjoy grilling outside in your spacious back yard? This cute and lovely home on a large lot is packed with potential and features 2 bedrooms, 1 bathroom, a living room, dining area, kitchen and 2-car detached garage. It has tons of natural light coming in from windows in all four directions, too! It can be a gardener s delight with nice front yard filled with a pine tree, Japanese Ume plum tree, maple tree, and lavender bushes. Going out to the back yard, you will be amazed and will WOW at the large back yard containing its own separate laundry room cottage with enough extra space to call it a small garden room or craft room. In this backyard, you will appreciate the various flowering shrubs and fruit trees and you can also enjoy growing your own vegetables, or perhaps entertain your friends and family with an outdoor party in your spacious yard. There is even a paved open space next to the backyard garage for maybe RV parking, a basketball court or a play yard. This home is close to schools, hospitals, restaurants and stores and has easy access to major streets and 110FWY. This home is waiting for a little TLC from you. But, it is in LAR2, which will provide you with a lot more possibilities than your own home. What a great potential home and investment this is! Come and see this property and learn more about it."